Look around America — chicken’s everywhere! Whether it’s broiled, baked, fried or floating in our soup, we can’t seem to get enough. 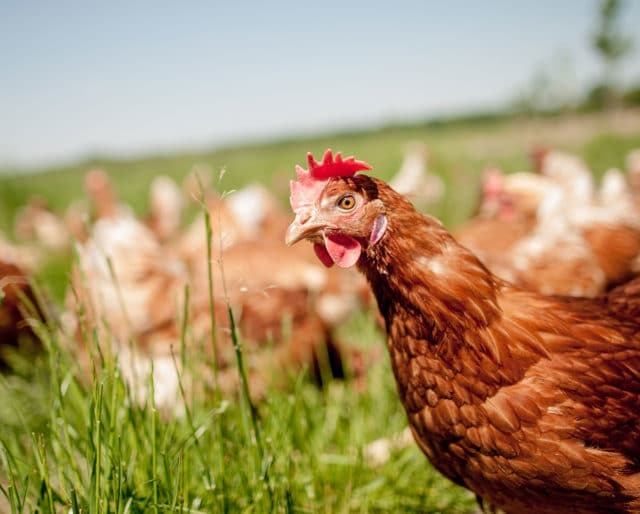 In fact, Smithsonian magazine recently called chicken “the ubiquitous food of our era, crossing multiple cultural boundaries with ease.” Still, we don’t often stop to appreciate this delicious protein source. This September, get ready to celebrate National Chicken Month and spend time discovering the past, present, and future of our favorite food. Guess which city came up with this. Hint: Ever heard of "Buffalo" wings? "Secret blend of herbs and spices"
Invite some friends over. The only requirement here is that every dish should incorporate chicken in some way. Whether dining out for chicken and waffles on Sunday is part of your weekly routine, or if you've never even tried it before, National Chicken Month is the perfect time order a plate of this sweet (and savory) goodness. There are seemingly endless ways to prepare chicken, so during this month, make it a point to learn how to make a recipe you've never tried before. It's always fun to add a new dish to your repertoire. Check out just about any grocery store or restaurant menu, and you're sure to find chicken somewhere. It's practically always available and affordable. Chicken is high in Vitamin B — which is linked to promoting psychological health. This essential nutrient also helps fight off anxiety, stress, and even memory loss. When seasoned properly, chicken is simply scrumptious. People all over the world have their own ways to prepare poultry, so whether you're in the mood for chicken fried rice, chicken marsala, or some crispy fried chicken, your taste buds are in for a treat.